ASP Class of 2019 Arrives! On Monday, February 4, 96 students from Tokyo International University (Kawagoe, Japan) arrived on the campus of Willamette University and Tokyo International University of America. 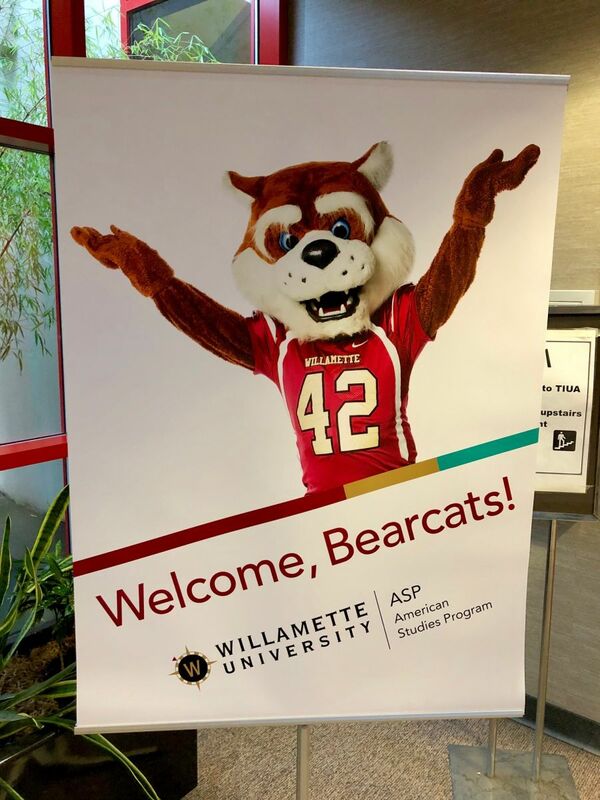 They are here for 11 months, participating in the American Studies Program (ASP) at Willamette University. Over 3,000 students have joined this program since 1989. We are also celebrating the 30th anniversary of the program later in the year. After a week of opening days and orientation sessions, classes begin Monday, Feb. 11. This year's cohort includes students from Japan, China, Malaysia, and Brazil. Community members can get involved with the students through the TIUA Tomodachi "friendship" Program. Through the program, participants are matched with a student or two and ask that they meet at least once per month. It's a fun to share American culture and learn about other cultures. It is not a homestay program. Learn more about it here. For some great photos and more information, click here.